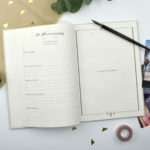 Designed for couples, with handy sections to fill in, the autobiography of your relationship will be written in no time! 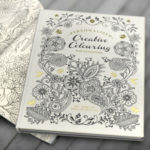 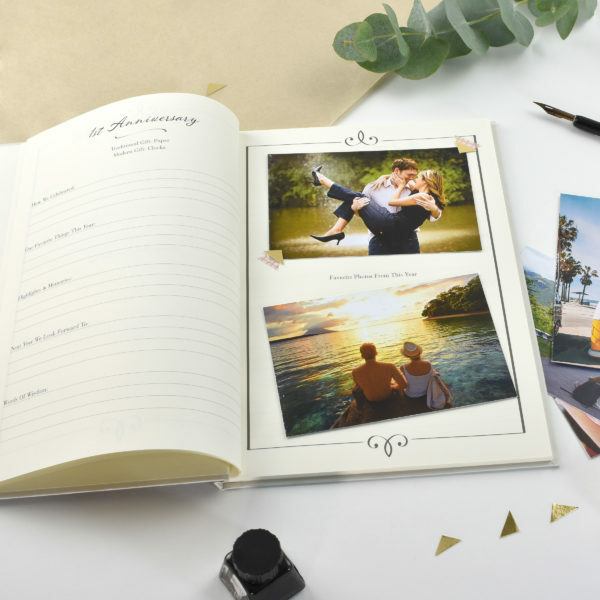 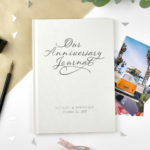 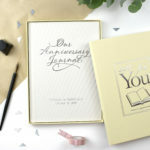 This unique 64 page book organises your entries to highlights of each year you’ve been married, including room for a picture of your favourite memory together. Each book will document the history of a couple, from when they met to their 30th year together. Couples of all ages can use this each year and treasure it for many years after. 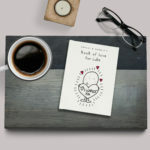 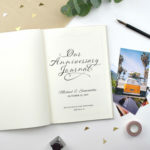 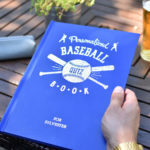 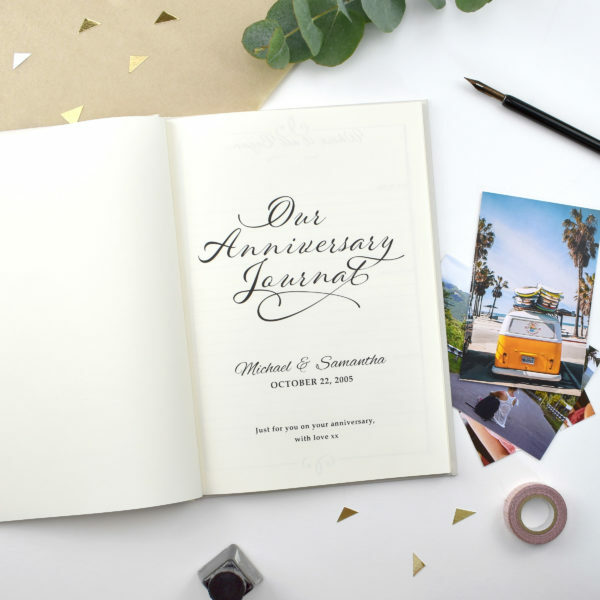 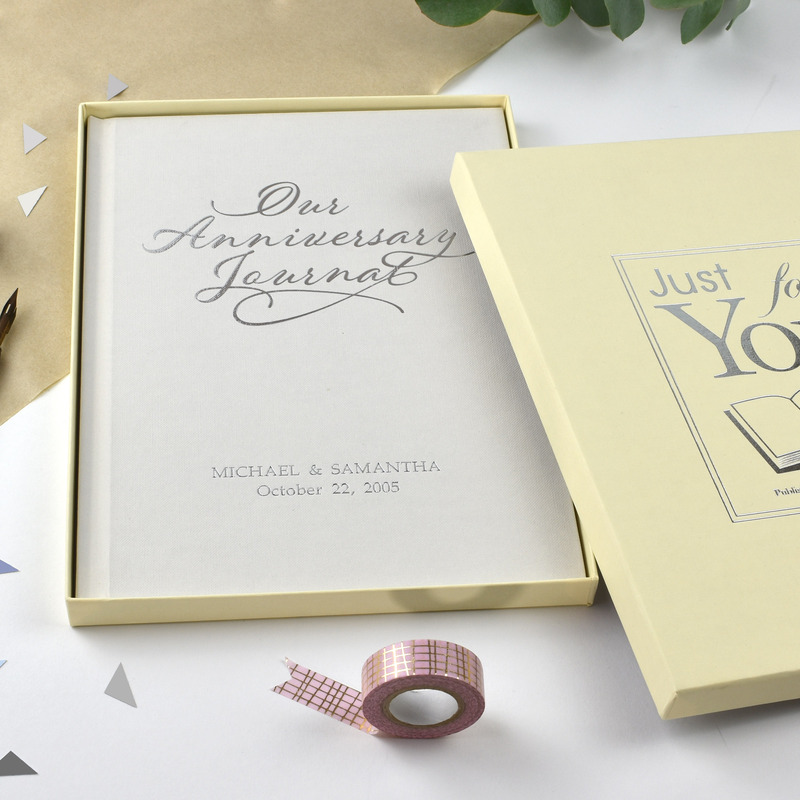 Including a message on the opening page from the giver, and the recipient’s names along with their wedding date on the cover, this personalised book for memoirs will be the perfect anniversary gift. 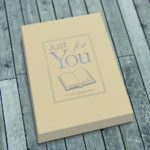 Presented in a beautiful ‘just for you’ giftbox.